we never sub-contract the jobs we acquire. 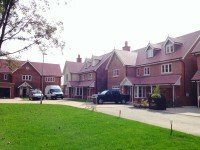 A family business, established in 1989 we have a wealth of experience repairing all types of roof, flat, pitched, tiled, slate on every kind of building, domestic or commercial. Our skilled staff all work to our exacting standards so that you can be assured of the quality of our work. If you require a Roof repair or indeed a complete Roof Installation, regardless of the size of the roofing project, we guarantee that we will always complete your roofing project to your complete satisfaction. N11 Friern Barnet, New Southgate.